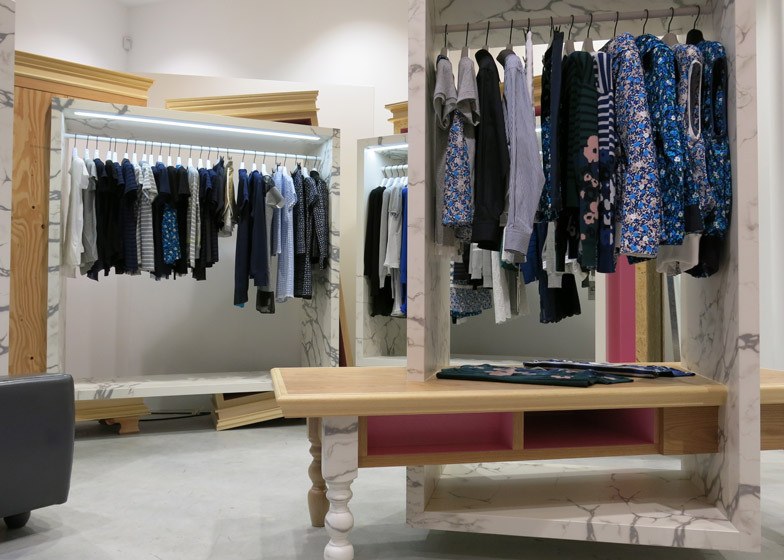 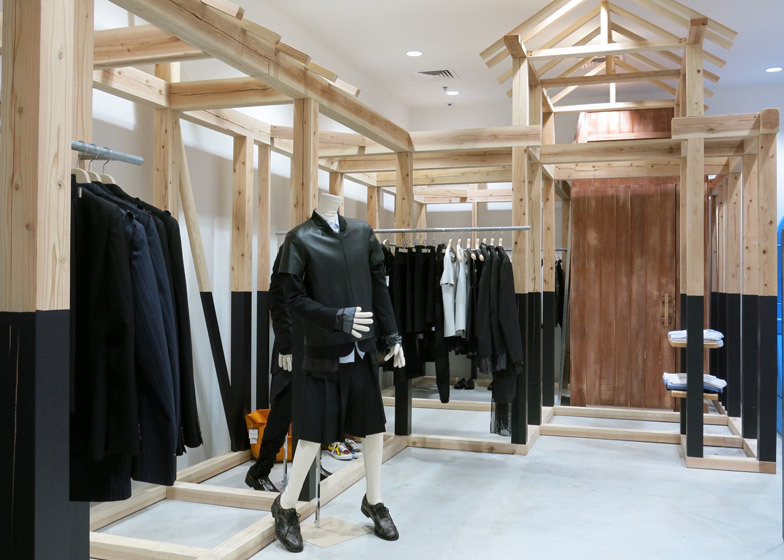 Japanese fashion brand Comme des Garçons has opened a branch of its London store Dover Street Market in New York City (+ slideshow). 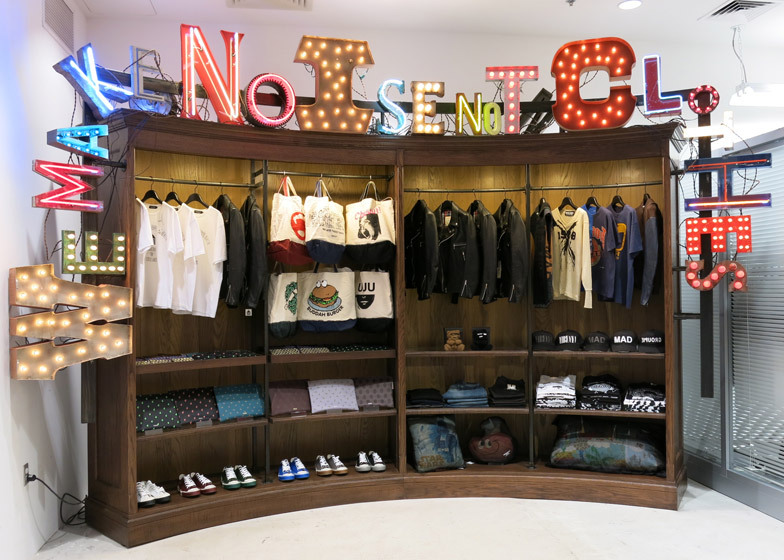 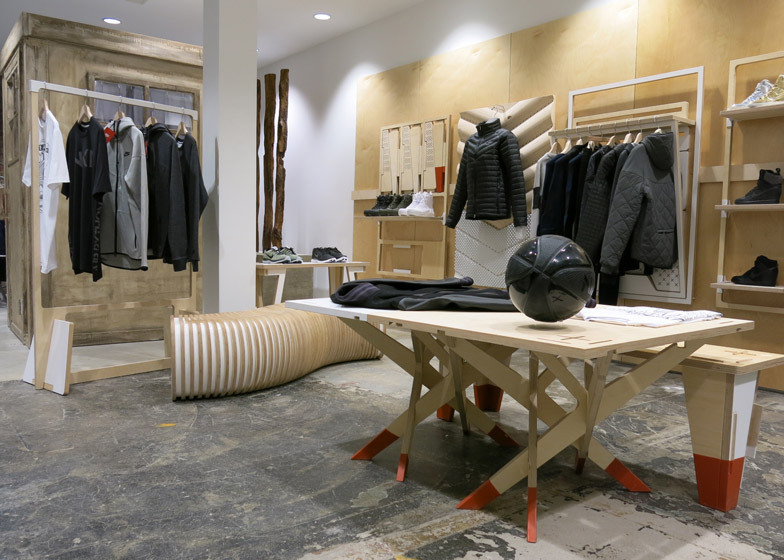 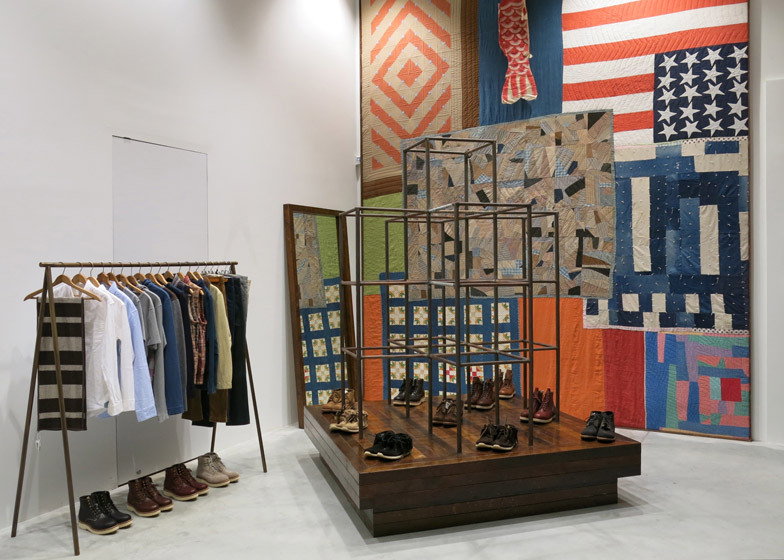 The new Dover Street Market store on Manhattan's Lexington Avenue opened just before Christmas, and displays garments and accessories by both established and emerging fashion designers among a variety of installations. 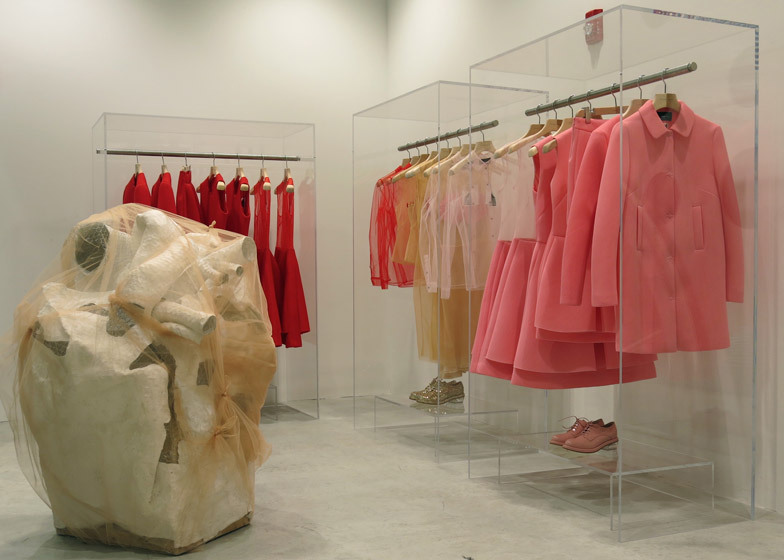 "I want to create a kind of market where various creators from various fields gather together and encounter each other in an ongoing atmosphere of beautiful chaos - the mixing up and coming together of different kindred souls who all share a strong personal vision," said Comme des Garçons founder Rei Kawakubo about the concept for the stores. 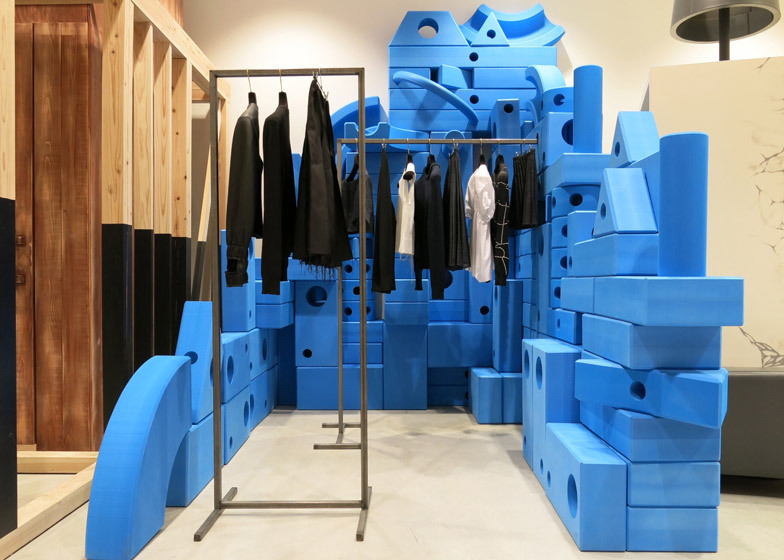 A selection of artists and designers created graphics and 3D pieces for the interior to form different environments across the seven storeys. 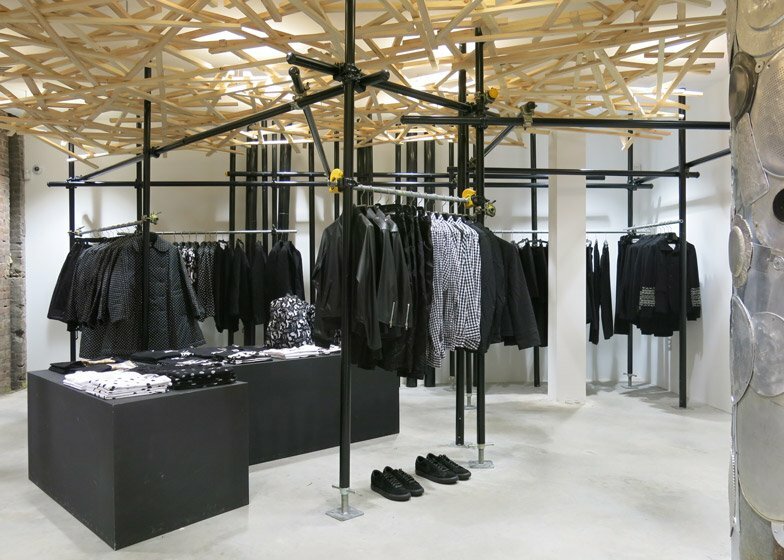 On the ground floor Kawakubo arranged wooden sticks haphazardly across part of the ceiling above scaffolding poles, which are used to support the rails displaying Comme des Garçons' own designs. 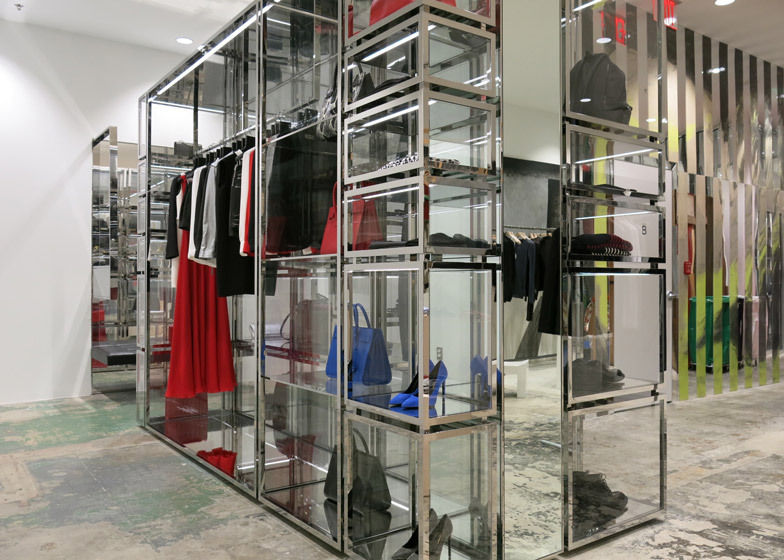 White beams are clamped together to create angled shelves for Dover Street Market merchandise. 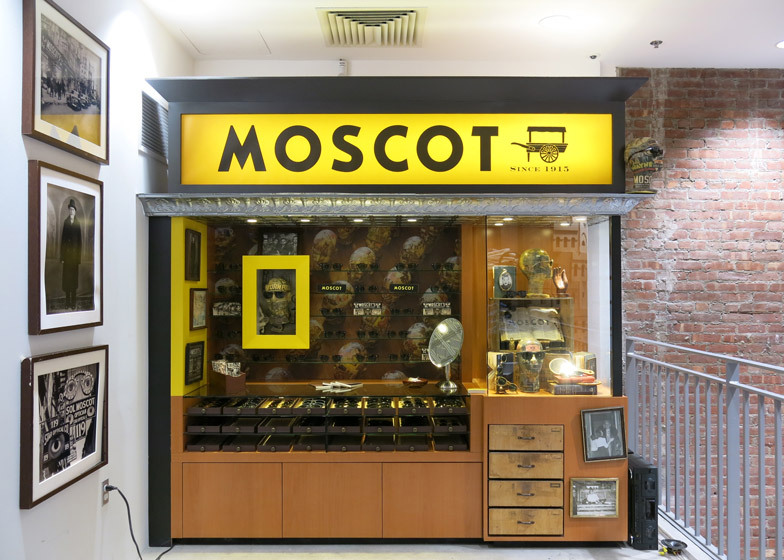 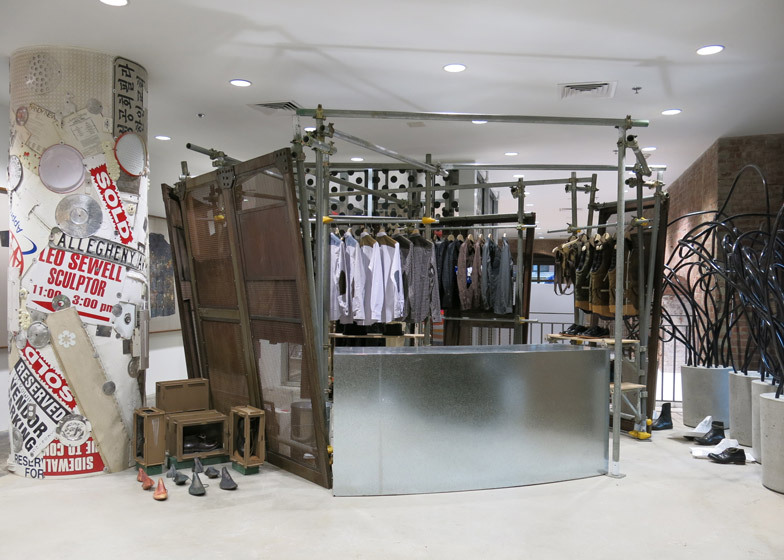 More scaffolding is used to form the section for Japanese designer Junya Watanabe on the floor above, where a kiosk for Moscot sunglasses is also located. 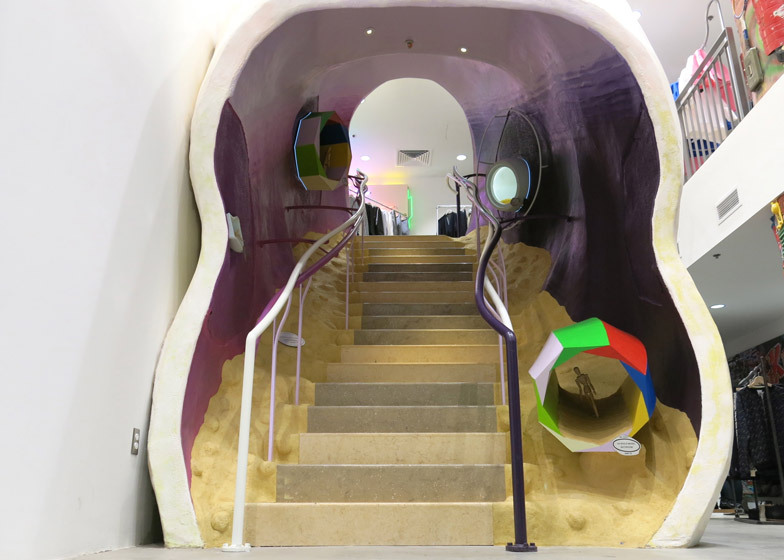 A globular tunnel painted purple on the inside covers the staircase connecting levels three and four. 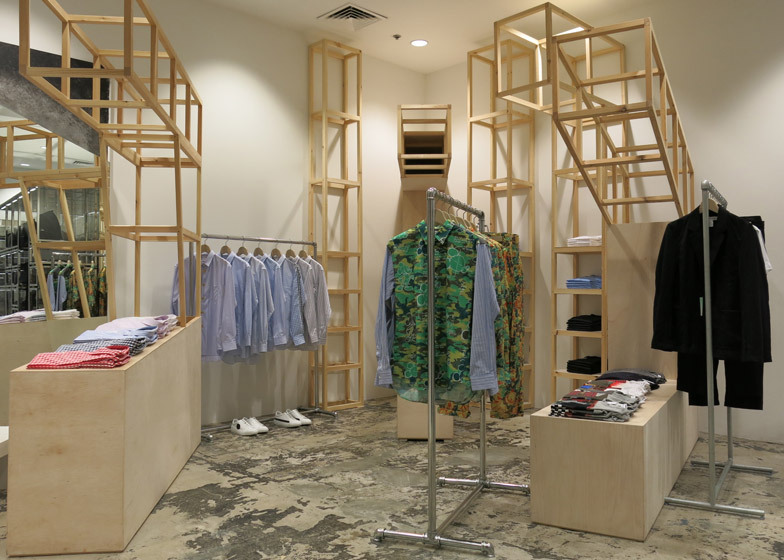 Wooden structures and lattices are dispersed across the fifth level, some large enough to walk through. 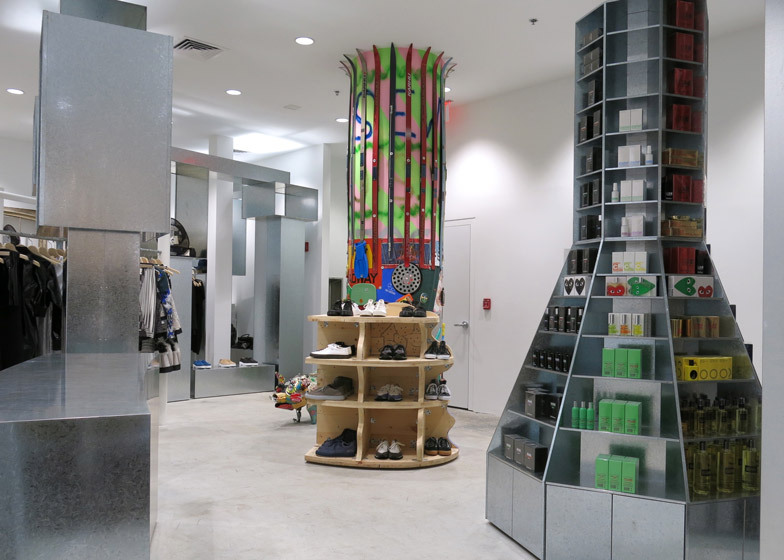 The top two floors are decorated with a mix of patchwork wall hangings, illuminated lettering, translucent display units and metal columns. 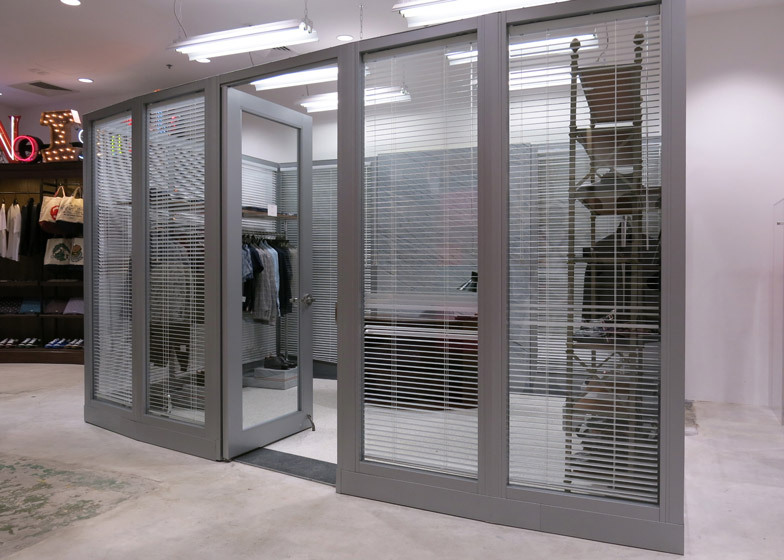 American designer Thom Browne's apparel is presented in a glass room modelled like an office. 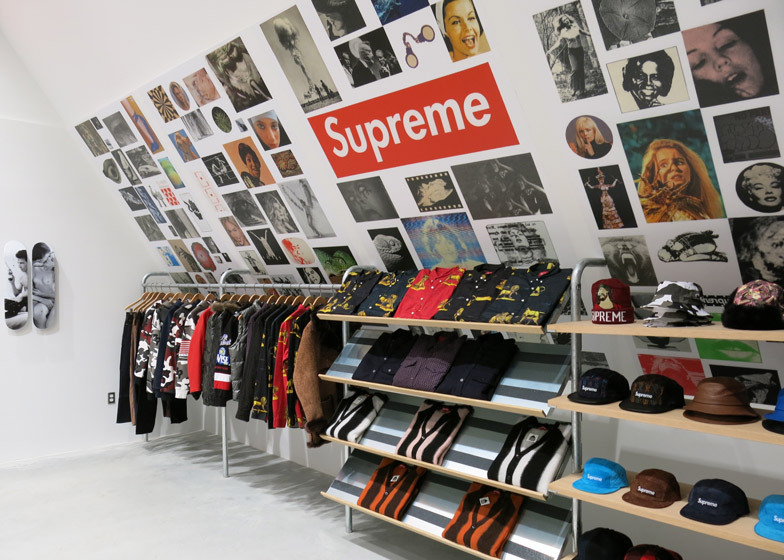 As well as New York and London, Dover Street Market also has an outpost in Ginza, Tokyo, which opened in 2006.